cTrader is primarily a spot forex trading platform. However, in 2014 the platform started to evolve from just FX. In 2014 cTrader started introducing support for more asset classes. Today cTrader is considered a multi-asset FX and CFD trading platform. One of the asset classes supported is stocks, sometimes referred to as equities CFDs. However, cTrader is not a stock trading platform where you can actually buy and own stocks of a company. cTrader only lets you have CFD positions for stocks. In 2014 cTrader introduced stock indices. Today, almost every broker offering cTrader offers spot indices. Later in 2015, cTrader introduced stock CFDs. There are not many brokers offer stocks in cTrader. The Spotware Public Beta version of cTrader contains hundreds of stocks from across the world, thus proving the capabilities of the platform for offering stock trading on cTrader. 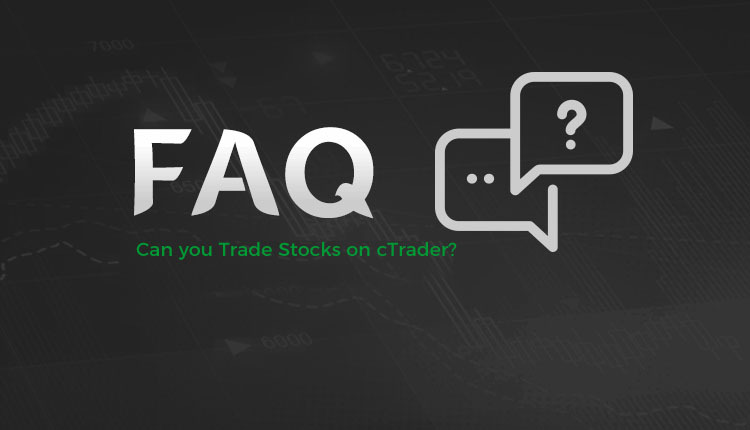 Why don’t Brokers Offer Stocks on cTrader? Market data is expensive and brokers need special licenses to distribute real-time stock market data to their traders. Those stock market data licenses are needed for each individual exchange. Stocks are an administrative burden. There are thousands of stocks and dozens of exchanges. All of which have their own trading sessions and other variations. The cost of trading stocks is much more than forex. These costs appear to be very expensive to traders who are accustomed to trading forex.